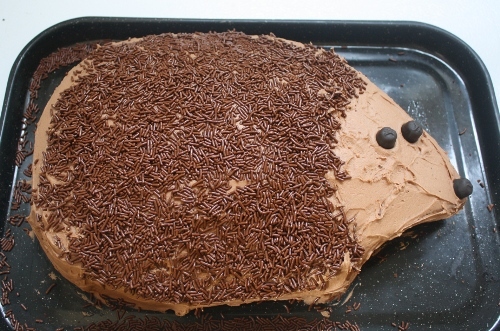 A certain little hedgehog is now FOUR years old! Yep, definitely chocolate. :) With chocolate icing, chocolate sprinkles, licorice nose & eyes, and raspberry filling. The highest compliment was the fact that she actually ate the cake part this year, instead of just the icing!